My taxi driver is called Sheffield. Clearly, if you’re named after England’s city of steel you’ll need to be pretty sharp and Sheffield definitely ticks all those boxes. I silently give thanks to today being a Monday. We’re on our way from the airport to Windjammer Landing, a luxury resort in the north of the island for my first few days, before travelling back south to stay at Jade Mountain Resort in the south-west, near Soufrière, the hometown of St. Lucia’s famous twin mountains – Petit Piton and Gros Piton. It’s almost a two-hour drive from the airport and Sheffield is hard at work getting me familiar with the local patois. St. Lucia was long-courted by both the French and British and during the course of their embattled courtship, ownership of the island changed fourteen times. Naturally, many traditions and customs were absorbed from both sides together with a few dollops from the Asian subcontinent and the West Indies as extra labour was drafted in to work the sugar cane plantations. Despite British rule for 165 years and English being the official language, Creole French is spoken by almost all the locals and I’m doing my best to keep up. And it’s not just the language. There are remnants of French rule everywhere; from the names of the towns to the food on the table. 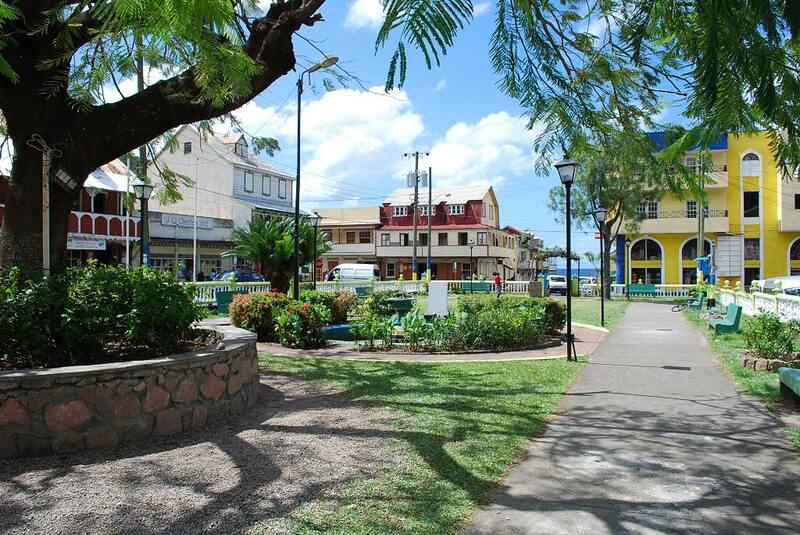 We’ve reached Castries, St. Lucia’s capital, after winding up around and down the Island’s mountainous centre. Three huge cruise ships are docked in the harbour, a sign of just how important tourism is to this island nation. All along the drive, I’ve had tantalising glimpses of the Caribbean. Snatches of turquoise in between dense rainforest. Now though, as we reach journey’s end at Windjammer Landing, it’s a full-on Kodak moment. Miles of it, stretching as far as the eye can see with waves lapping wide golden beaches. 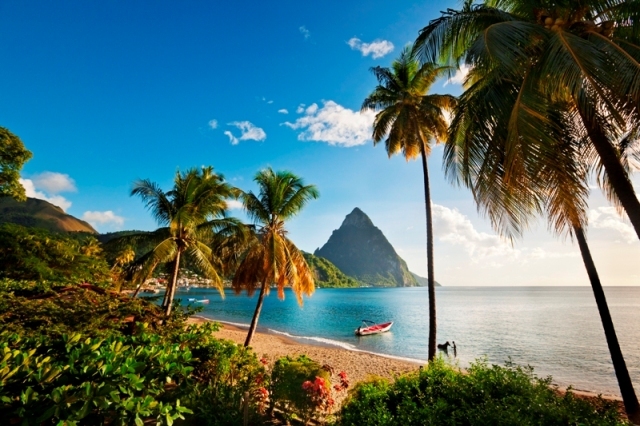 All the beaches on St. Lucia are public, golden up here in the north and a mix of white and black in the volcanic influenced south. 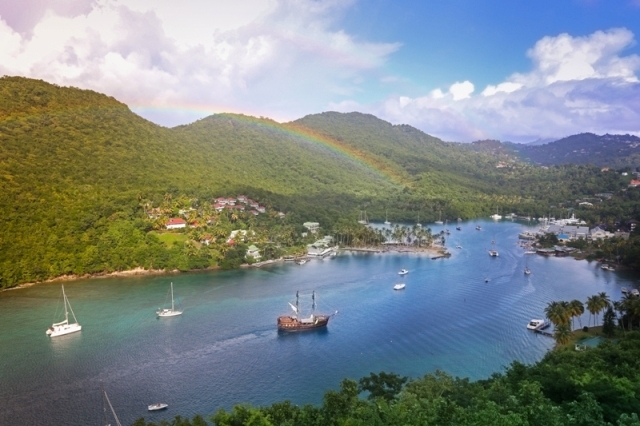 While St. Lucia has been spared hurricanes due to its southerly location, beautiful Marigot Bay is the one place boats come to should the weather turn. It’s penned “the hurricane hole” locally; the steep forested hills and mangroves offering up a natural barrier to the elements. Long ago, the British fleet hid from the French here, but these days, the only hiding happening in Marigot is from sun worshipers seeking shade on the sandbar jutting into the bay. It’s a Hollywood movie location and a magnet for beautiful people on fancy yachts. 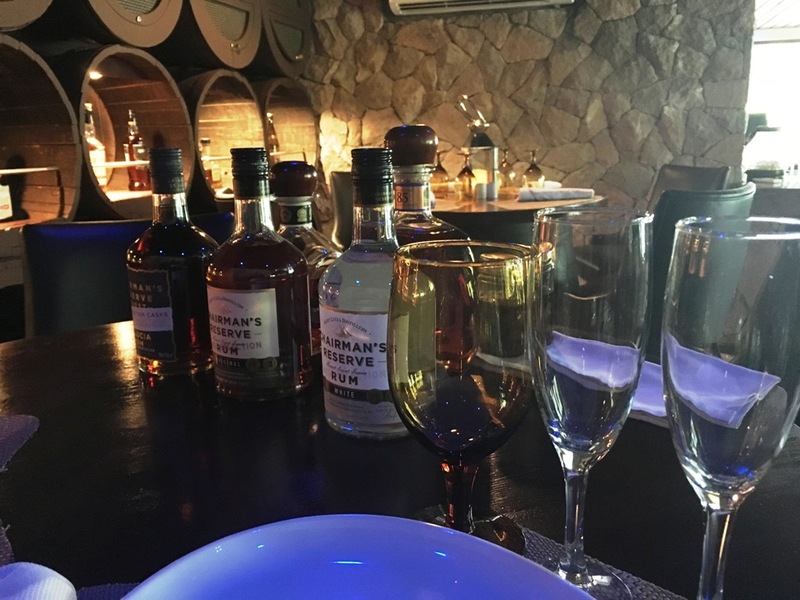 Mind you, you could stroll over to the luxury Marigot Bay Resort and Marina and try some rum tasting. Head barman André knows a thing or two about spirits and an hour with him in his rum cave will more than lift your spirits if you get my drift. Admiral George Rodney, famous for finally putting paid to the French, would be proud to know they named St. Lucia’s most popular tourist bay after him. 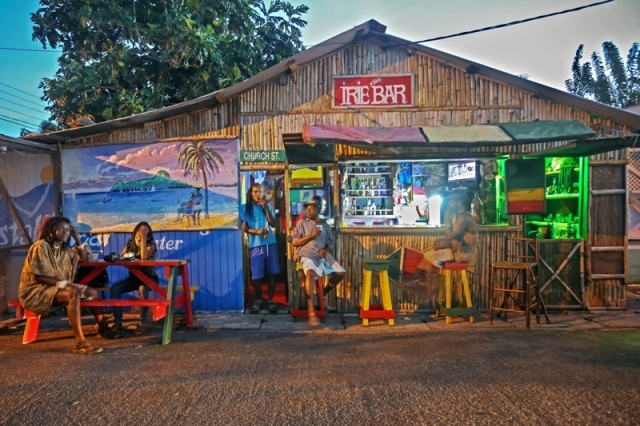 After all, as a naval officer, he probably enjoyed a drink or two and Rodney Bay Village is not short of lively bars. 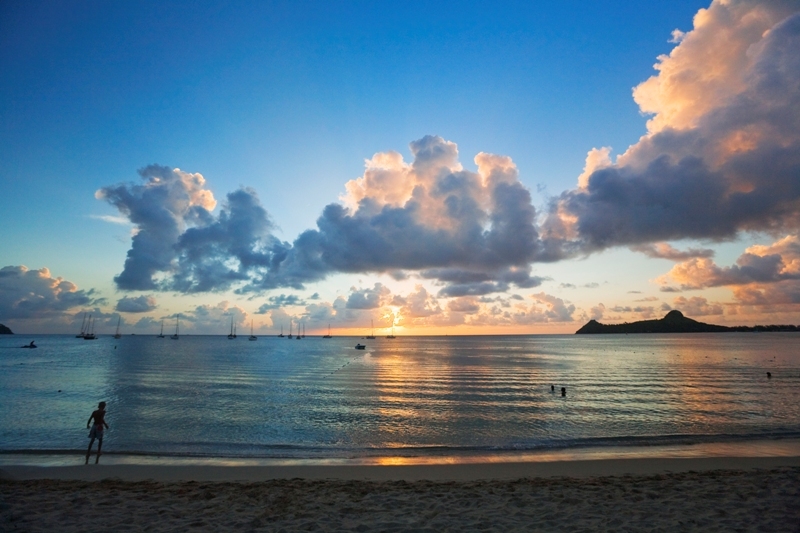 But this huge horseshoe of a bay just a few miles from Castries has the very impressive Reduit Beach to take care of the daytime fun with perhaps a trip up to Pigeon Island at its northernmost tip. While after dark, The Village comes alive with St. Lucia’s only casino together with two shopping malls and a man-made lagoon and marina. 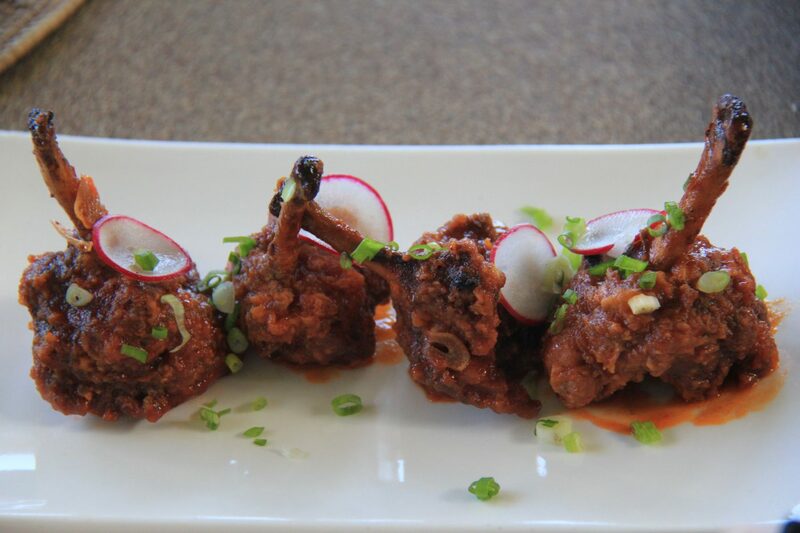 There are plenty of restaurants to suit all tastes and pockets, but I would head for Tapas on the Bay or its sister property Big Chef Steakhouse next door. Both of them owned and run by lovely Belgian chef/host Rosie who, ironically for me, was once Head Chef at Windjammer Landing. 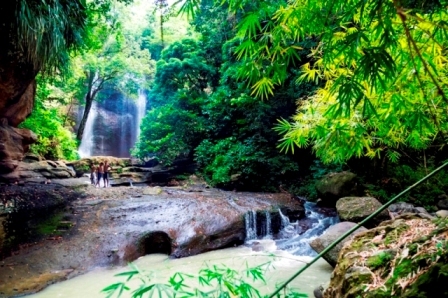 This is an island blessed with nearly 20,000 acres of lush rainforest and for hikers and trekkers trips under the canopy are a mouth-watering prospect. 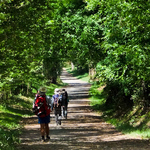 The Jacquot Trail is a popular 3.5-hour trek across ravines and creeks, as is the shorter Des Cartiers Trail, both with plenty of tropical flora and fauna on display. You might even catch a glimpse of the rare St. Lucia parrot if you keep your eyes peeled near any mango tree. Another less strenuous activity but just as much fun is zip lining across the canopy at the Treetop Adventure Park at Dennery. Jungle George is a fun host on the ride over to the park, making sure all my fellow riders are suitably scared stiff before dropping us off inside the rainforest. The twelve ride course through the canopy takes around two hours to complete and each group has its own guide on hand to offer help, take pictures or simply showboat along the 800 foot longest zip to show how it’s really done. It is thrilling fun, very safe and all equipment is provided. Sheffield is back to drive me down south to Soufrière and my promised date with the Pitons, St Lucia’s twin landmarks. The island’s southwest region is where the old money came from. Rich in plantation history, its hidden beaches coves and lush hillsides are idyllic havens for high end retreats harbouring hipsters looking to capture their own particular piece of paradise. 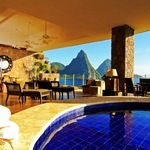 The twin peaks of the Pitons framing a perfect bedside view. Billed as the World’s first drive-in volcano, the reality is a little less dramatic for a volcano, but still a fine geological experience. It really was a volcano once but collapsed in on itself so there’s no dramatic rim just the hot sulphur water innards, which I’m reliably informed means it is still technically active. 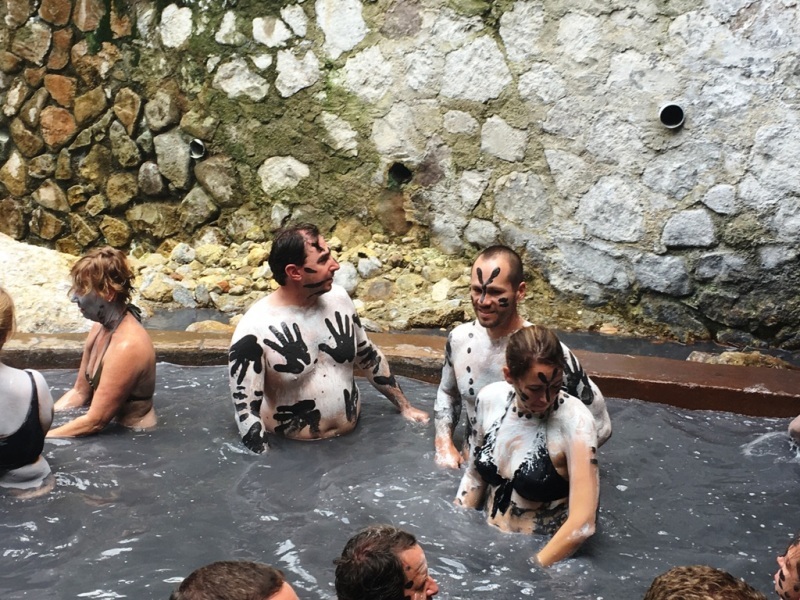 The springs are dammed up to make a small rock pool deep enough to bathe in and it can get crowded so best to get there early. To really look the part, you need to grab handful’s of mud and spread it all over your body. Does wonders for the skin.Takes years off. 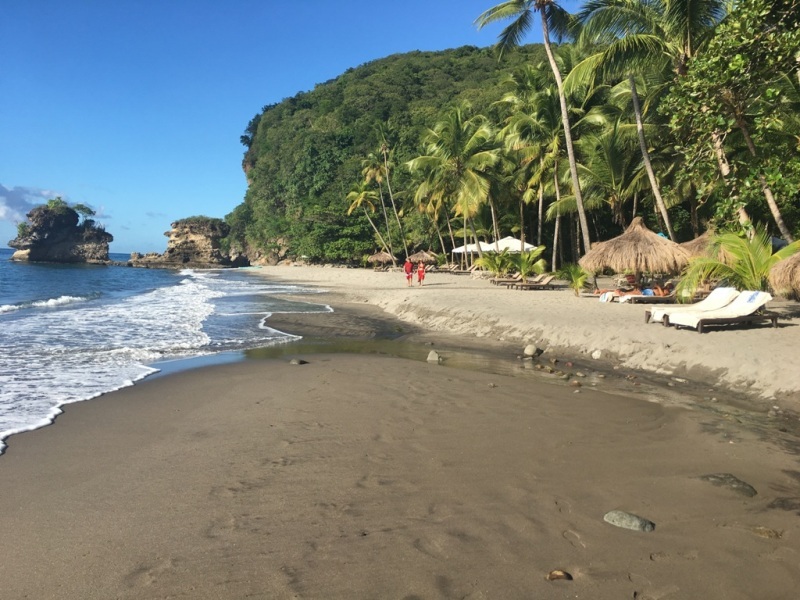 Although Anse Chastanet beach is dominated by the resort guests, it’s still a public area and a beautiful beach too. There’s an excellent bar and restaurant and plenty of sunbeds. Over to the left side of the beach near the rocks, you’ll find a marine reserve where the tropical underwater landscape provides perfect snorkelling. You can rent equipment for all kinds of water activities in the nearby dive shop. You might be tempted to climb Petit Piton rather than her larger sibling but this would be a mistake. Gros Piton is a much more inviting climb. It’s a four-hour round trip and best climbed with a guide as the markers are a little haphazard. The view from the peak is worth the effort.Just take a deep breath and absorb it all. 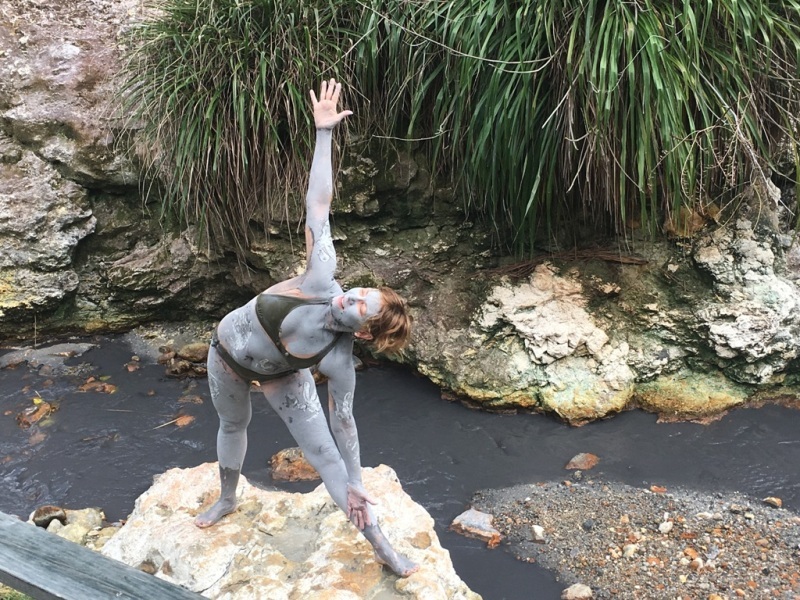 Close by the Sulphur Springs is the town named after them (Soufrière aka sulphur in the air), nestling almost at the foot of Petit Piton. 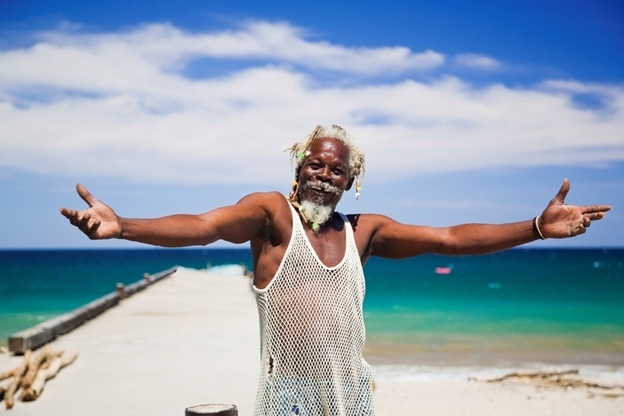 St. Lucia’s former capital is an authentic snapshot of local life. Its French aristocratic history still evident in colonial-style properties and colourful shop fronts and nearby estates like the Diamond Estate with its botanical gardens and waterfall. Colourful houses, a bustling waterfront and a daily food market all provide those important glimpses of daily life. 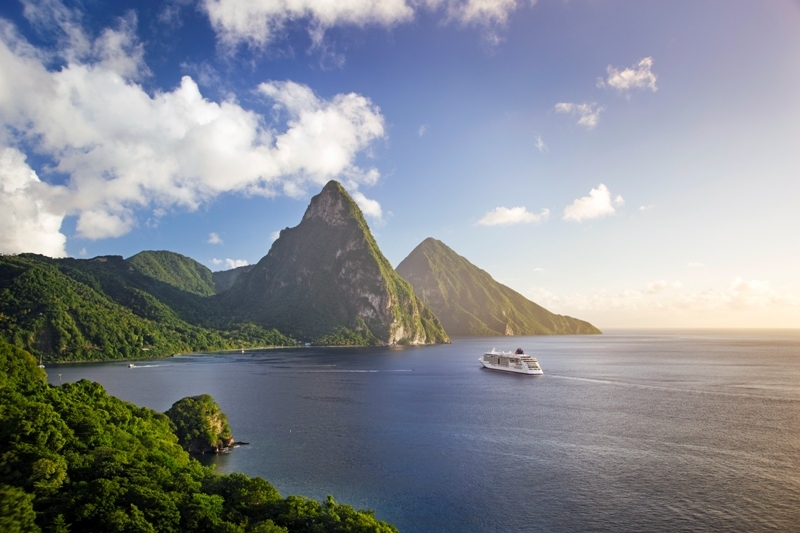 St. Lucia is an island of such extraordinary dramatic beauty; perhaps one of the most naturally impressive throughout the entire Caribbean. Yet, the Islanders seem to just take it all in their stride. For them, it’s just another day in paradise. Little wonder it was fought over so many times. 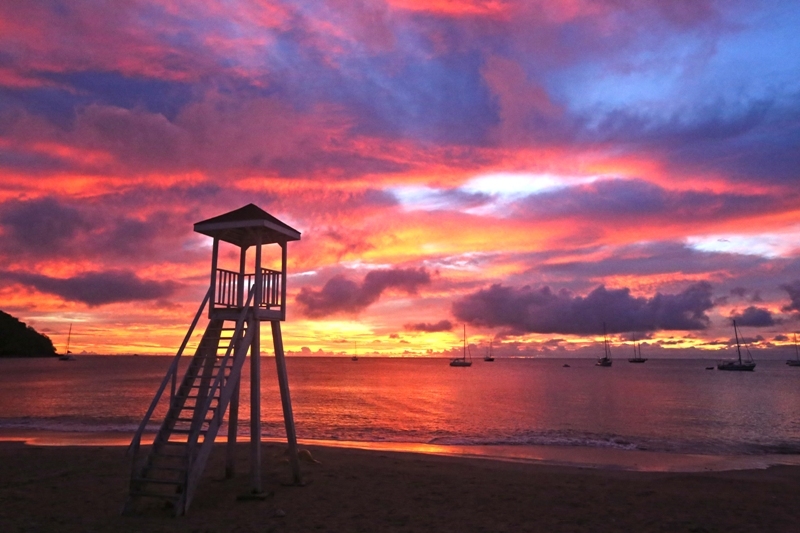 St. Lucia will live long in my memory. After all, it’s not every day you get to enjoy a five day weekend! The island packs a lot into its size; it’s just 27 miles long and 14 miles wide and offers a wide range of award-winning diverse accommodation from boutique hotels and all-inclusive resorts through to spacious villas and luxury retreats. It is easily accessible from the UK with 13 flights from London Gatwick and a weekly flight from Manchester in the winter. New to 2017, visitors also now have the option to fly with TUI on recently launched direct flights to the island from London Gatwick. The St. Lucia Jazz Festival takes place each May bringing together home-grown jazz blues and soul players together with home-grown local musicians.